Reading Lambert’s book, I thought of Evicted: Poverty and Profit in the American City, by Matthew Desmond, which won a 2017 Pulitzer Prize. A sociologist, Desmond lived in low-income neighbourhoods in Milwaukee to understand America’s housing crisis. He gained the trust of fellow tenants and shared their stories. Lambert, a self-described “30-year-old white middle-class Canadian male,” does something similar here. 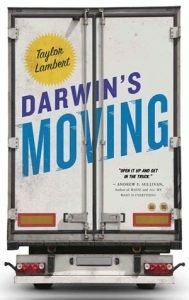 Lambert tells the life story of Darwin Werner Schulz, tracing his path from his childhood as a small-town troublemaker to owner of the titular moving company. Then there’s the energetic, personable Jesse, a hard-working born-and-raised Calgarian and an unreliable employee with a criminal past who parties too hard. (Lambert has altered the names of his subjects, with the exception of Schulz.) Keith, whom customers find “friendly and self-deprecating,” survived horrible abuse as a child and struggles with addiction. He admits to several violent crimes while high, but is kind and generous to his friends, including Lambert. When Keith says matter-of-factly, “I knew at an early age that my family was fucked in the head. And I tried to separate myself.… I went about it the wrong way,” we can sense the pain buried underneath. But missing is any expert-informed discussion of childhood trauma, addictions or recidivism. The distance between Jesse’s and Keith’s experiences and the wealth and apparent comfort of the people they move is striking, if largely unexplored. 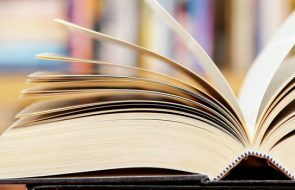 We read that hourly wages are “around twenty to twenty-five dollars,” and that their clients are “the proverbial 1 per cent.” While Evicted relied on a wealth of data and academic research to properly contextualize the experiences and behaviours of tenants and landlords, Darwin’s Moving lacks such a factual underpinning. What may have been an illuminating exploration of labour, masculinity and inequality in today’s Calgary is instead (quoting Lambert) “a series of portraits,” heart-wrenching and deeply felt. —Yutaka Dirks is an Alberta writer now living in Montreal.